Named after the violent gangs of the eighteen hundreds, Scuttlers have something of the street about them. Lies In The Sky sounds disaffected, raging at the world from the point of view of today's youth, talking of leaving jobs, burning houses and browsing the web for things you wish you could have but with an articulate perspective and controlled anger. The guitars that dominate the single make their point with even more force. 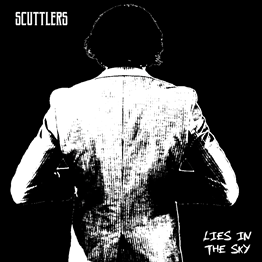 Scuttlers are on Facebook and Twitter. They launch the single at Manchester Retro (78 Sackville St) on February 16th.